At PS Engineering in Ballymoney, Northern Ireland we specialise in Steel Fabrication. PS Engineering manufacture and installation of Electronic Gates, Railings, Handrails and Staircases and we also can give our galvanished steel products a beautiful Powder Coated Finish. Powder coating is used by both industrial and domestic customers an it give a uniform, durable attractive finish for your railings, stairway or gate. Powder Coating can achieve a variety of different colours, can be matt or gloss, and can also be used to achieve different textures. 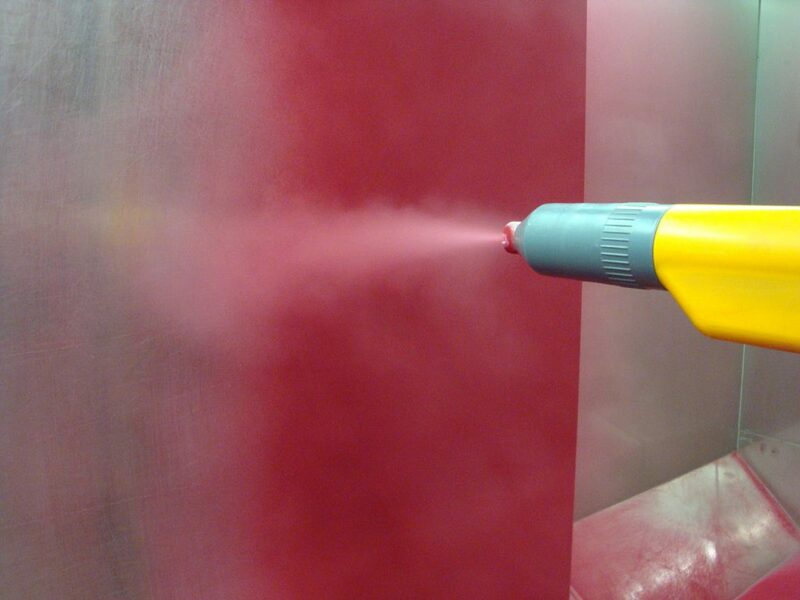 Powder Coating is also a lot better for the environment than using heavy solvents which can pollute the air. A powder Coat is a durable and cost effective way to finish you steelwork which offers you variety and choice. If you are thinking of installing new gates, railings or stairs then consider getting in touch with us here at PS Engineering and chat to us about our powder coat finish. Call 07739715754 or visit us in Ballymoney, Northern Ireland.